First, I have to tell you that I’m normally pretty anti- any kind of conventional cancer or leukemia treatment. That is, unless there is a proven record of success, measure by CURE!!! Much of the chemo treatment has abysmal results. The researchers, and the medical establishment in general, measure the extension of increased lifespan in MONTHS. Read the research for yourself. If you can. It’s very depressing. So when I tell you that some of the new information out there is promising, I truly mean it. They (“they” being the conventional ones out there) are working on ways to get those of us with CLL well. This is a new concept. My White Blood Count (WBC) has never gone done and in fact always been increasing. To me that’s the real indicator. This abnormal and steady increase has crowded my arteries and I have trouble even going for long walks. Specially, where we live there are hills in our neighborhood and it’s a huge battle to get back to the top. I must say, I am not overweight and used to regularly exercise (jogging, etc.). Something I terribly miss now. The two herbs I am currently trying which seem to help me the most are: Pau de Arco (Taheebo tea), and Astragalus. Especially the latter which I take in liquid drops form (from Wholefoods store) seems to give me enough energy to get through the work day. Do you do anything to decrease your WBC? There are a few things that HAVE worked, but they just haven’t gotten me all the way well. For the WBC (which we’re supposed to watch so closely) the very best that I’ve done is to go on a non-burnt diet. This means that I do cook food, and I even eat meats, chicken etc. (not to excess, but I eat them) but…I always slow cook and never, never eat anything browned, grilled, etc. I just abstain from eating if that’s all that’s available. My highest WBC was 47, and now I’m in the low 20s and holding for over a year. I started in January 2013 and have been holding steady since. I will not experiment with trying the burnt food again, that’s how positive I am that this was an important factor. Now the low 20s still means that I have CLL (the diagnosis; I try not to own the actual CLL : ) But this has been an important change, at least for me. In my previous life I LOVED burnt food, ate the burnt potato chips, liked grilled meats with burnt fat, carmelized onions, you name it. How to do this: I make soup and stews every week, and then we eat the leftovers. It’s very efficient and makes it easier to not be cooking so much every day. After the initial dinner, we have the meats (chicken, beef, etc.) for lunch only along with fresh, raw vegetables, and try to have vegetarian dinners, sometimes with fish. Also I eat eggs several times/week. Either poached or very slow-fried (so there’s zero browning). The other thing I would suggest is getting an infrared sauna. Look into the Thersauna and the Clearlight; they are the two with low EMFs. I’ve had no experience with this yet, but several, many people with CLL have reported to me personally that this always lowers their WBC. I’ve been late in getting one, but it is on my current to-do list. It’s expensive, but (as Hessel Baartse would say) it’s cheaper than a funeral. Love the gallows humor. I hope this gives you something to chew on (not burnt!). 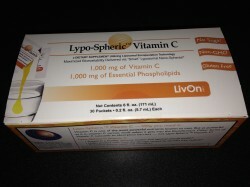 Have you heard of vitamin C treatment for CLL? So I communicated with Todd who later told me that his father’s WBC dropped from 70 (70,000) to 9 (9,000) from the protocol of the Life Force and the Liposomal C. Now there are two people with a chronic leukemia who’ve benefited from liposomal C. So I’ve started this protocol for myself. Here is a link to the company that makes this product. CLL Lymph Glands Swelling — Reason for Panic? I would like to know how your lymph glands react, if that’s ok. When I was first diagnosed there were no signs of enlarged glands, but on my last check up a few pea-sized enlargements were detected in my neck and right groin. I did however come down with a pretty bad cold the very next day. Are they likely to go up and down? Yes, I have the pea-sized nodes and I’ve had them since diagnosed. I also have one large CLL node in my neck, thank God it’s not visible! However it’s there; it goes up and down, as do my swollen glands. Here is what works best for me in reducing pressure in my neck when ill.
2.If the pressure in my neck and sometimes across the bridge of my nose persists, I clean out my ears with Debrox ear drops. I follow the instructions on the box for a few days and this generally does the trick. Debrox is in all regular drug stores, not an exotic product. Oh, and your cold probably had a lot to do with it. An important thought: don’t stress about it! The first word in CLL is “chronic” not “lethal”. So believe that it is temporary, because it most likely is. Take a deep breath and distract yourself with something pleasant. Believe that you are well, because at this moment, you are! CLL and Supplements: Safety and Do They Work? Do you take any supplements? I get a little worried about these. 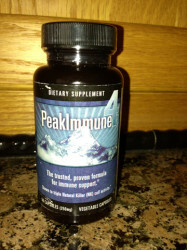 I was looking at the use of Beta Glucan to assist the immune system. It looked really good until I linked it with Leukemia and then found it is not advisable for us to take, even though other pieces of information support its use in other cancers. If it’s not an intrusion, can you say what you do on a daily basis regarding diet, supplements etc? My daily regimen has changed over the years, and now I take somewhere between 150 – 200 pills/day. (daunting, I know) I didn’t start taking them all at once. As a matter of fact, in 2005 -2007 I took none, as I went Macrobiotic. That worked for a while, then I had to make changes. So, yes, I think you should take supplements, but I would start one at a time, and give each a few days to see how you react, before starting another. I have a history of stomach aches and fibromyalgia-type pain. The best test (for me) is the blood test. That tells the real score. I do think, in fact I know that many of the supplements I take are crucial to my health. I will attach a list of what I’m taking now. Keep in mind (I don’t mean this to be difficult, it’s just the reality) what works for me might not work for you. I’ve been trying to copy what the others have done to get well, and it hasn’t quite worked for me yet. But, still, we can learn from each other, on a trial and error basis. That is the good side of slow-going CLL. I did try Beta Glucan for a while, and it did no harm, and no good. 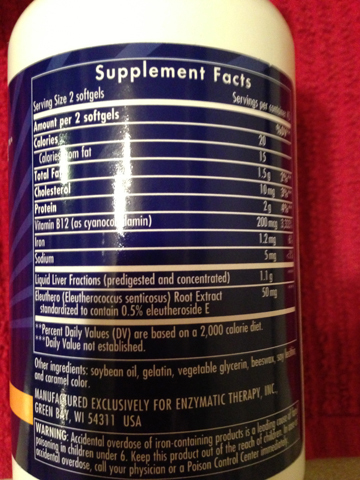 Many of the supps that frightened me turned out to be good for me. 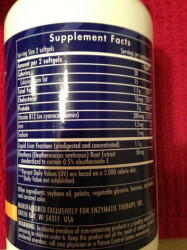 For instance, I’ve read, somewhere, that people with CLL should not take immune boosting supplements, like echinachea. So I stayed away from them. Now I take Elderberry, Peak Immune, Olive Leaf (and I’m sure more, but they don’t come to mind). They’ve only helped and not hurt me at all! So give them a try. Just get your blood tested frequently enough so that you can stop taking something before it harms you. I’ve found that if I stop a supplement, I get right back to stable. Vitamin D!!!! One supplement you should 100% take, because it WILL help you is vitamin D. Take 10,000IU a day, get your D levels tested (blood test) and don’t worry about taking too much until you’re over 100. I was at 13 or 19 when first tested (don’t really remember) and my last one was 89.something. But this is vital. And look that one up. There is a lot of literature about how vitamin D is beneficial for cancer in general and CLL specifically. This is a big one. You will improve if you take vitamin D.
I recommend what you can buy at Life Extension, the 5000 IU soft gel, and also I love Twinlabs Allergy D product, even thought the dosage is tiny. I take 5 of those a day and the rest in more concentrated pills. (I’ve started recently taking vit D 5000 IU in drops from Premier Labs, but haven’t tested since starting). There is a concerted effort on the part of the FDA to put supplements into the same class of regulation as pharmaceutical drugs. This is a move to make it too expensive for the supplement companies to stay in business, which would then put us all in the loving hands of Big Pharmaceutical companies. Not a good thing. I could say more, but Dr. Joseph Mercola has already done a good job of that. Click here to read his latest article on this subject. I personally feel that the good quality supplements that I take for the CLL diagnosis I’ve had since 2001, along with my diet and lifestyle, are what is keeping me alive. Unfortunately, when I’ve sent letters to my Congressmen and Senators, they respond by letting me know that are planning to add red tape and regulation to the manufacture and sale of supplements in order to keep me “safe.” Excuse me, but I feel much “safer” when I’m able to buy and use my trusted supplements. Again, please read this article for more detail. CLL Low Neutrophils ~ An Alternative that Works! In May 2011 my hematologist told me that my neutrophils were dangerously low, at just about the .5 mark. The normal range for neutrophils is 1.96 – 9.72. We’re talking the ‘absolute’ neutrophil count, not the percentage. Don’t worry about the percentage! If you have a CLL diagnosis, that number will be well below normal and you can be functioning just fine. My hematologist (who I like) wanted me to try Rituxan, and some Neupogen. She knows that I’m a researcher, so we decided to wait for the next visit. At the first revisit, the count had gone back up on its own. At the two-month revisit I hadn’t taken anything as yet, and the neutrophil count dropped dangerously low–down to .59. So back in 2011, at this time I took the Peak Immune product, as it was recommended by a Chinese herbalist, and because on the bottle it says that these pills increases NK (natural killer) cell activity. I thought that would have to be good enough and it was definitely worth a try. But it turns out that Peak Immune increased my neutrophil count. At the next blood test, my absolute neutrophil numbers went out of the danger territory and my percentage went up as well. After I finished a bottle or two, I figured that I was out of the woods and didn’t need the product any longer. After all, I was taking UBI (ultra-violet blood irradiation treatments) and keeping up with an extraordinarily healthy diet and lifestyle. I did pretty well with my neutrophils after that, taking regular blood tests to keep track. However, in February of 2013 the count was right back down to .51. I panicked. I hadn’t given the Peak Immune the credit it deserved for keeping up the neutrophil count. But for some reason, I looked it up on iherb.com to see if anyone else had mentioned neutrophil counts in the reviews. There was only one review and it was very positive on this very subject! I was so excited. I thought it sounded familiar and I saw that the reviewer was from Michigan. Then in a complete airhead moment, I realized that that one reviewer was me! I had given credit to Peak Immune for helping with my neutrophil count, and posted it online. But I had forgotten this for myself! Needless to say, I’ve been taking this product ever since, and thankfully my neutrophil count is in the safe target zone still. This is obviously not a cure, but it is a health and life-preserver. I give this pill my ultimate personal endorsement. And please keep in mind that I sell absolutely nothing on this site and get nothing from any company. Feel free to comparison shop on amazon and any other outlet. Oh, and please write and let me know if it works for you! I apologize for not posting more often. Now and again I get emails asking if I’m still here–as in alive. Yes! I’m very much alive and relatively well. By relatively, I mostly mean my parents, both of whom are geriatric (82 and 87) and both of whom are ill (congestive heart failure and stroke) and are more time-consuming than I’d like. Between that and part-time work, and an occasional foray into writing my second mystery book, I just don’t make time for this blog. This is a GOOD reason to be offline, however, compared to what other CLL-ers imagine. This is very exciting! Every success story is exciting. It means that it is possible to beat this thing naturally. However…keep in mind that not everyone heals the same way. This is true when the conventional doctors give chemo (some will go into remission, some will not, some will die from the treatment), as it is with natural treatments. The only difference is that with natural treatment, it may not cure you, but it will probably make you healthier. Even if I don’t plan on following this man’s whole program, I’m encouraged to see that he uses an infrared sauna. I’ve been considering that for a long time. I’ve heard from several of you that this helps. Please watch this and see whether this provides hope, inspiration and practical suggestions for your own recovery and good health. There is a reason there are so few posts on this blog. 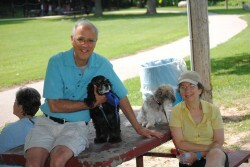 Initially I was positive that I could totally reverse my CLL diagnosis. This hasn’t happened — yet. My plan for this blog was to be an uplifting, upbeat place for people with CLL (newly diagnosed or those trucking along like me) to get a positive feeling. To get hope and inspiration. I have to admit I’ve been discouraged more than once since starting this blog. But…. I’m still here, and I still have NOT had any conventional treatment — even though it has been recommended. I’ve managed to turn the ship (to use a metaphor), but I haven’t yet been able to get the ship back to shore. It’s been eleven years, and truthfully, I’m doing fine, and living a relatively normal life. My last problem was with my Neutophil count, which about a year an a half ago were dangerously low. That was when my hematologist was recommending Rituxan and Neupogen. I didn’t want the Rituxan because I looked it up on Google, and apparently it doesn’t work well without a jumpstart from some chemo (perhaps a little bit of chemo? ), so I said no thank you! The same for the Neupogen. Neupogen comes in a shot, which you apply yourself to your stomach regent — twice a week. If that wasn’t bad enough, I looked that up as well. Neupogen does increase your Neutrophil count, but it causes your body to stop making its own. Eventually you need more and more frequent shots. This did not sound like a good plan to me! So I conferred with my son, a Nutritionist, who suggested that I take several bacteria-, virus- and fungus-fighting herbs. So I started on a heavy-duty regimen of Olive Leaf, Pau D’arco, Coconut oil, and Goldenseal. This helped. The next time I had a blood test, my Neutrophil marker improved. After that, I decided to start the Ultraviolet Blood Irradiation treatments at the Wycoff Wellness Center in East Lansing, Michigan. Prior to this time, I’d heard of it, but was frightened of the process. They withdraw blood, add a little heparin, and then the blood is returned back into your vein, after it passes through a machine that treats your blood with ultraviolet irradiation. I have to admit that it sounded scary, risky even. But now that it’s been more than a year, I have to say that it most likely has been a factor in keeping my Neutrophil count closer to normal. I get no more warnings and I’m back to being tested everything 4 months (rather than monthly). The people there are wonderful! It isn’t scary at all, or risky.